Vrinda Devi: Goddess of devotion. 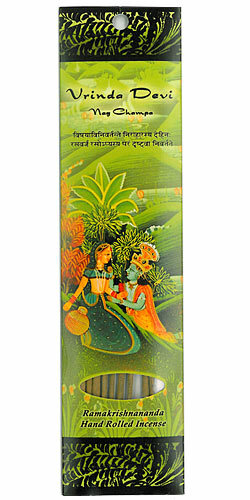 Qualities: Residence in holy places, proximity to natural beauty, devotion to the Supreme, physical health and wellbeing. Qualities -Residence in holy places, proximity to natural beauty, devotion to the Supreme, physical health and wellbeing. 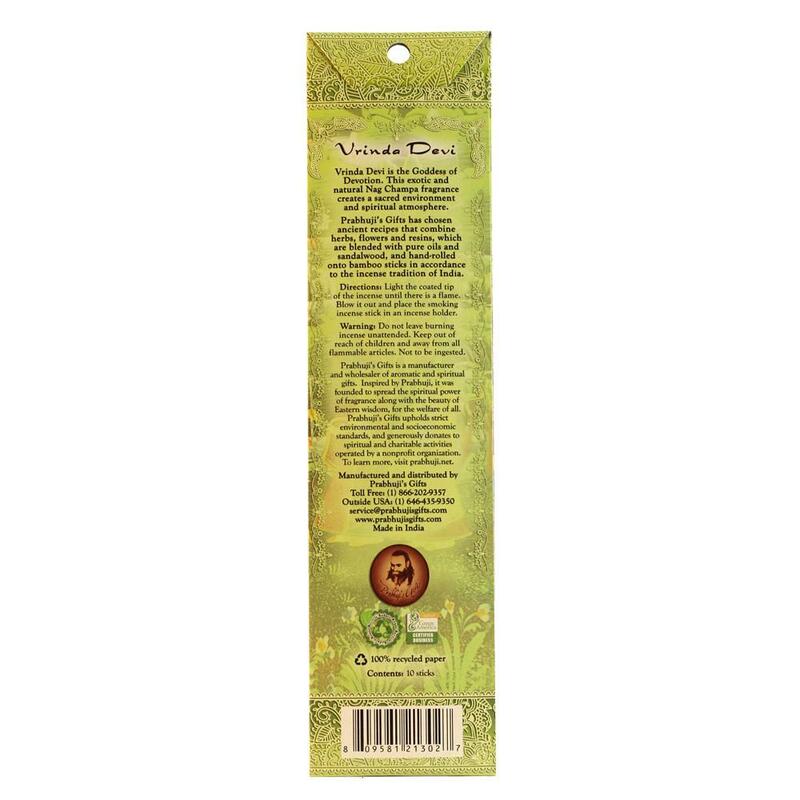 This exotic stick incense featuring Green Nag Champa is hand-rolled by artisans in India’s cottage industry and blended in accordance to ancient wisdom. 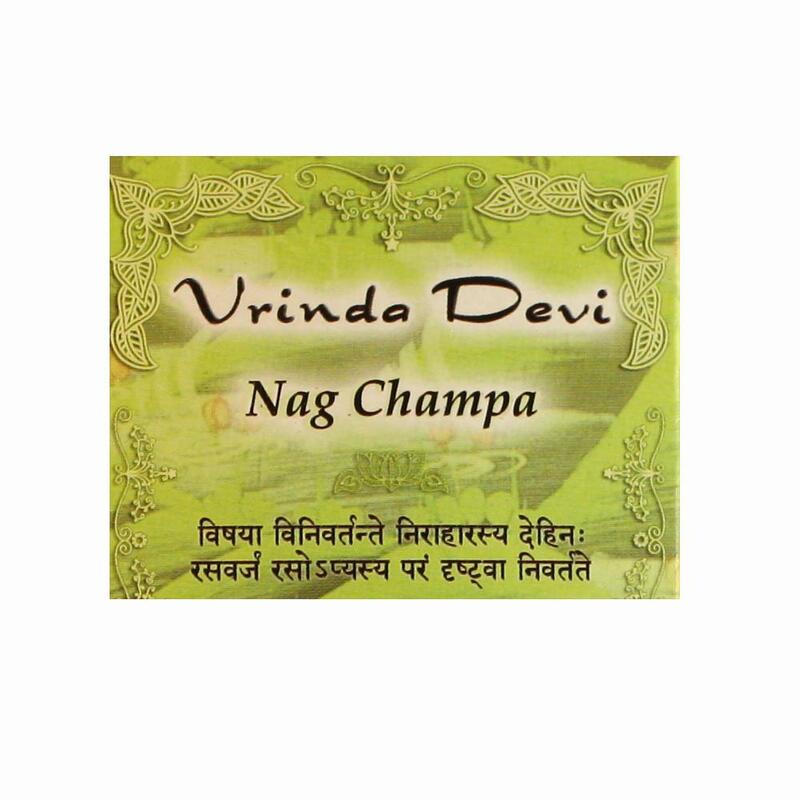 Nag Champa is a floral fragrance with musky overtones and sacred origins that facilitate meditation and prayerfulness. Each blend is unique, having been created in Hindu and Buddhist monasteries in India and Nepal, where formulas are highly secretive. Aroma: This scent features Green Nag Champa.